Prof Gunther Uhlmann is the world’s leading mathematician on inverse problem which focuses on determining the identity of an object by measuring how the object scatters incoming light, sound waves or other types of waves. Such problems are of immense interest to mathematicians, scientists and engineers and have important applications in daily life, including shedding light on the elusive phenomenon of invisibility. In 2003, Prof Uhlmann has proved that by measuring the scattered waves at a boundary, a person may not be able to tell what that object is as he can construct two different objects that give exactly the same scattering. His theorem actually implies that Harry Potter’s cloak can become real. In 2006, physicists proved (independently) that the mathematical transform introduced by Prof Uhlmann can be used to design Harry Potter’s invisibility cloak. Prof Uhlmann obtained his PhD from the Massachusetts Institute of Technology in 1976. After postdoctoral positions at Harvard University, the Courant Institute and MIT, he was on the MIT faculty from 1980 to 1984. He joined the University of Washington in 1984, where he became Walker Family Endowed Professor in Mathematics in 2006. Prof Uhlmann was elected to be the Simons Fellow, Fellow of the American Mathematical Society, Finnish Distinguished Professor 2013-17, Rothschild Distinguished Visiting Fellow at Cambridge University and Isaac Newton Institute of Mathematical Sciences 2011 and Chair of Excellence 2012-13 of the Fondation Sciences Mathématiques de Paris. He is also the member of American Academy of Arts and Sciences and the foreign member of the Finnish Academy of Sciences. In 2011, he was awarded the prestigious Bôcher Memorial Prize (awarded once every three or five years) by the American Mathematical Society and the Kleinman Prize (awarded to one person every other year) by the Society of Industrial and Applied Mathematics. 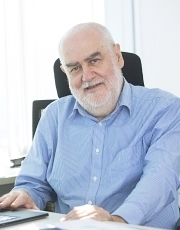 He has a long and distinguished record in serving on the editorial boards of many mathematical journals, including “Inverse and Ill-Posed Problems”, “SIAM Journal on Mathematical Analysis” and “Analysis and PDE”. He was named a Highly Cited Researcher by Institute for Scientific Information (ISI) in 2004. Lai, R., Shankar, R., Spirn, D. and Uhlmann, G. (2017). An Inverse Problem from Condensed Matter Physics. Inverse Problems, 33(11), p.115011.